While visiting Cars Land at Disney's California Adventure this past summer, I was excited to stumble across a bunch of new artwork by various artists—each bringing their own style and giving their own take on the world of Cars. I hadn't seen some of the pieces prior to going, so it was a fun surprise to behold when I walked into the Ramone's House of Body Art shop. 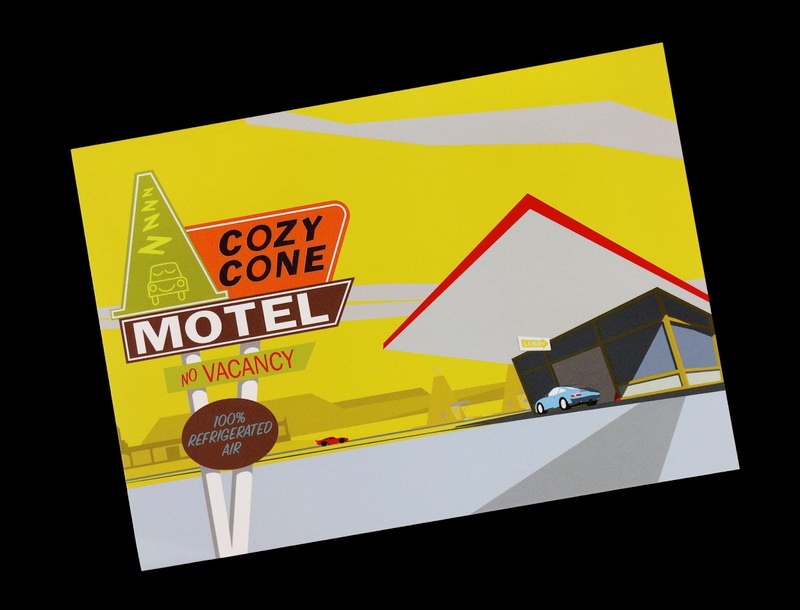 One of the prints that stood out to me is this one right here called "Cozy Cone Arrival" by artist Michael Murphy, which I picked up in this affordable 5x7" postcard size for $4.95. 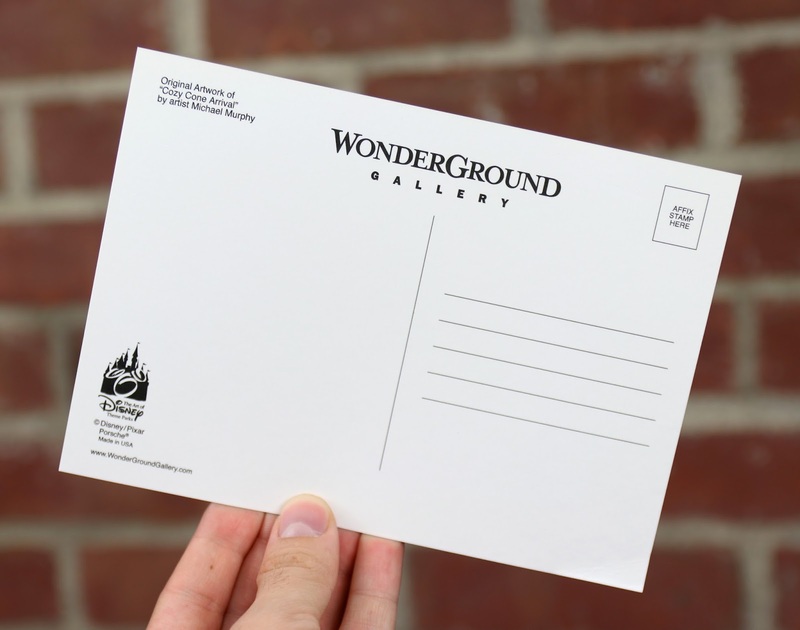 I had never seen anything from or heard anything about this artist before seeing this design, so his unique style really caught my eye. Ultimately he focuses on modern architecture and emphasizes it using bold colors, straight lines and minimal details—and that's exactly what he does here with the iconic Cozy Cone Motel. It's very retro looking, which I really like. It's an interesting style for sure and may not be for everyone, but I thought it would be a worthy addition to Pixar art collection! Learn more about Michael Murphy on his site "Super Sonic Modern" HERE and be sure to follow him on Facebook and Twitter. So what do you think? Have you picked this one up or plan to? Do you have a favorite Disney artist? Shout out your thoughts in the comments below.